VIEW LIFE DIFFERENTLY at cosgrove - an estate COMing to life in the foothills of mount louisa. 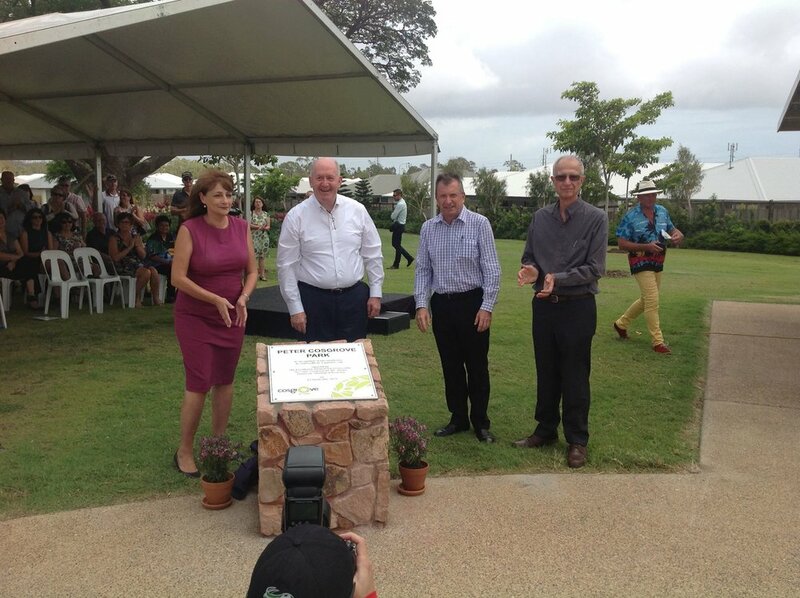 Cosgrove was names after Governor-General of the Commonwealth of Australia, His Excellency General the Honourable Sir Peter Cosgrove AK MC (Retd) for his contributions in the clean up and recovery after Cyclone Larry. Cosgrove Estate will when complete, will have seven distinct villages each with seperate entrances to accommodate up to 6000 residents across 252ha of green space bordered by bushland and wildlife corridors. Our first village is The Rocks and this wraps itself around the foothills of Mount Louisa and down to the Bohle River. The 'WOW' factor here is the elevation of the lots, they capture the Townsville sea breezes as well as offering views to Castle Hill and Magnetic Island. When it comes to finding something that suits your lifestyle and budget, the choices are here. Flexible housing styles and block frontages are available and a measured Building Covenant will give you the peace of mind that your attractive neighbourhood and streetscape will endure.